Over the last three decades, author, journalist, and public speaker Robert Bryce has published more than 1,000 articles and five books. His byline has appeared in dozens of publications ranging from the Wall Street Journal and National Review to the Sydney Morning Herald and New York Times. In 2010, he published Power Hungry: The Myths of Green Energy and the Real Fuels of the Future. His most recent book, Smaller Faster Lighter Denser Cheaper: How Innovation Keeps Proving the Catastrophists Wrong, was published in 2014 by his longtime publisher, PublicAffairs, and is now available in paperback. Bryce is also the producer of the forthcoming documentary: Juice: How Electricity Explains the World, which will premiere in 2019. A senior fellow at the Manhattan Institute, he lives in Austin. 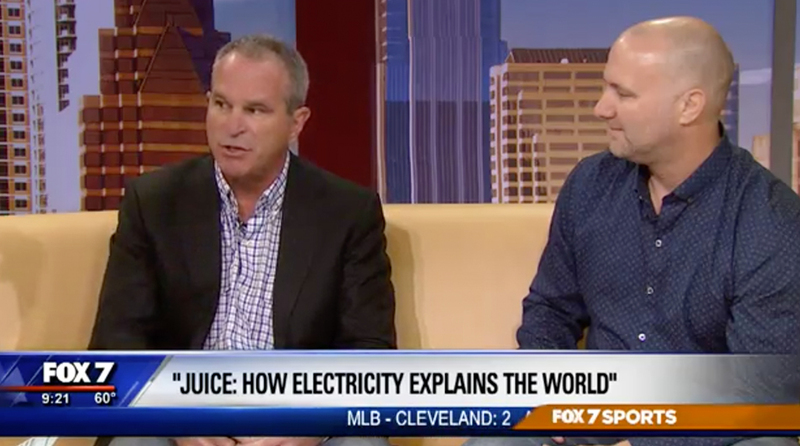 Robert and Austin-based director Tyson Culver discuss their upcoming feature-length documentary, Juice: How Electricity Explains the World. Hearing regarding energy innovation and other potential solutions to help address global climate change.